Play of the game, on the go. In discussing the ease of the porting of Diablo 3 to Nintendo Switch, and the healthy relationship Blizzard now enjoyed with Nintendo, after more than a decade since the last time a Blizzard game was on a Nintendo system, the company had indicated that more Blizzard games could come to the Switch in the future. This is something a lot of people have been holding out for for a while- how great would something like Overwatch or especially Hearthstone be on Nintendo’s portable console? And it seems like the former, at least, would be in the realm of possibility. 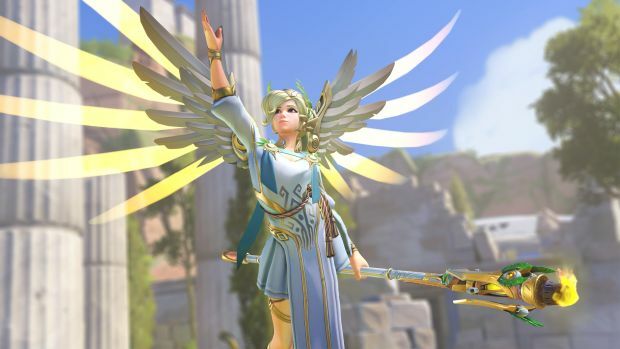 Speaking to GameSpot, senior producer of Diablo 3 on Switch Pete Stilwell said that Overwatch on Switch was feasible- albeit not something that it was his place to commit to. He also chipped in on StarCraft 2 ever showing up on the Switch. Now, this may seem like a random tangent, but after all, the last major Blizzard game for a Nintendo console was StarCraft on Nintendo 64; the Switch itself, with its touch screen and gyroscope, presents a friendlier platform for an RTS than the other consoles do. That said, Stilwell shot that idea down. Which is fair- StarCraft is indeed one of those games that I don’t see working on any console of any kind- maybe the Wii U, had it taken off. But it didn’t, so here we are. Curiously enough, Hearthstone wasn’t brought up, where it seems to be the easiest port of them all. That said, one step at a time- for now, we’re getting Diablo 3 on Switch. Once that is out, maybe we can look beyond to see what Blizzard may have to offer.